Middle grade books with animals often have humans sharing the pages. Not so here. With this new story it’s all about the animals and specifically ones that choose nighttime to roam. The main characters are a fox, a sugar glider, and a pangolin. Wolves, bats, alligators and many more creatures of the night are also a part of this adventuresome undertaking. THE MYSTERIOUS ABDUCTIONS is the first release of a planned series (Book two, THE OMINOUS EYE, is scheduled for September, 2016). What you will find tucked away on these pages is a huge mystery about animals vanishing, lots of humor, and a plot that zips its way to a satisfying conclusion. The short chapters (33 in all) would make a great read-aloud. If you have an animal loving reader searching for a fun story, they won’t be disappointed by this unique tale. FULL PLOT (From THE NOCTURNALS WEBSITE ) The Nocturnals features three unlikely friends: Dawn, a serious fox, Tobin, a sweet pangolin and Bismark, the loud mouthed, pint sized sugar glider. The stories all play out in their nighttime world with teamwork, friendship and humor in every adventure. After reading the tale you will have learned many characteristics of animals and their unique behavior. It’s not a listing of facts but instead are woven into the story. I now feel like an expert on animal behavior. The importance of friendship and family is a super theme evident throughout. A strong core group of characters, each with distinct personalities, should keep this series interesting especially for the intended audience. The book jacket hides the cover with only ‘The’ carried over. An extra bit of fun that had me smiling at the creativity. Surprises pop up at unexpected times. You’ll find a nocturnal brigade and a life or death hockey match as an example. There’s also a fun twist when the animals speak short foreign phrases. Tracey Hecht is a writer and entrepreneur who has written, directed and produced for film. Tracey currently splits her time between New York City and Oquossoc, Maine with her husband, four children and three pets—none of which are a sugar glider. This is her first middle grade series. Kate Liebman is an artist who lives and works in New York City. She graduated from Yale University, contributes to the Brooklyn Rail, and has shown her work at multiple galleries. She grew up in Santa Monica, California. This is her first children’s book. 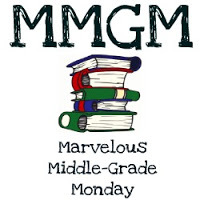 This entry was posted in Reviews and tagged Marvelous Middle Grade Monday, MG book reviews, Middle grade, The Nocturnals: The Mysterious Abduction, Tracey Hecht. Bookmark the permalink. Sounds really interesting! I enjoyed the summary. I’ll check it out soon – thanks for the review! I’m not a fan of animal books, but this sounds good. I bet it’ll be a winner with animal lovers. I like animal stories and this one sounds good! I’m going to look for it. Thanks for calling my attention to this one. I hadn’t heard of it. Usually, I’m not big on animal-only books, but I enjoyed Harriet the Invincible and Malcolm at Midnight. How cool that you now feel like an expert on animal behavior! sounds great, and i love that line! Kids are going to love this. And I’m going to love reading it along with them. Wonderful cover art! Can’t go wrong with animals in my view. Real, anthropomorphic, fantasy, invisible, I love them all. This series is new to me . Great for reluctant readers. Sounds quite interesting, especially since it’s being told from the animals POV. Thanks so much for sharing your thoughts on it.